You must make reservations at least 5 minutes in advance of the time at Oakton Wine Shop & Bistro. Frequent Wine Tasting events along with Fitness & Wine activities. Be sure to visit the Events tab on our website time and dates! 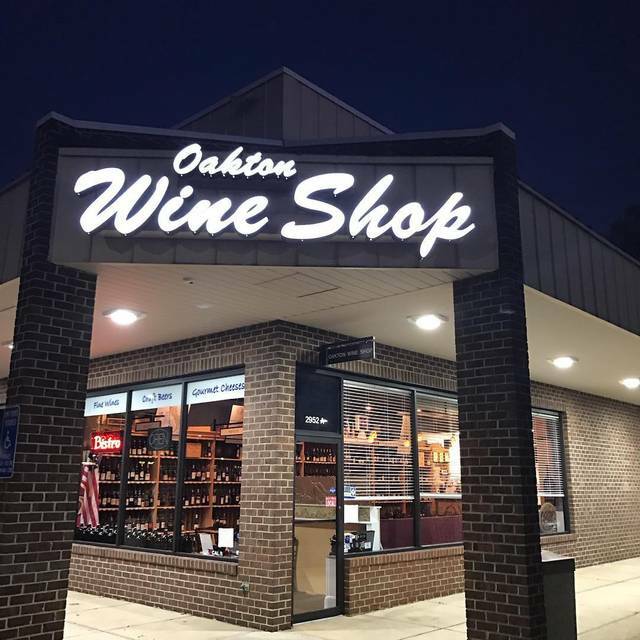 The Oakton Wine Shop & Bistro is a wine and beer shop with an embedded bistro. The establishment focuses on offering hand-selected wines from around the world, hand-crafted beers, and small plates. The bistro serves a seasonal menu which will enlighten the senses through wine, beer and food. 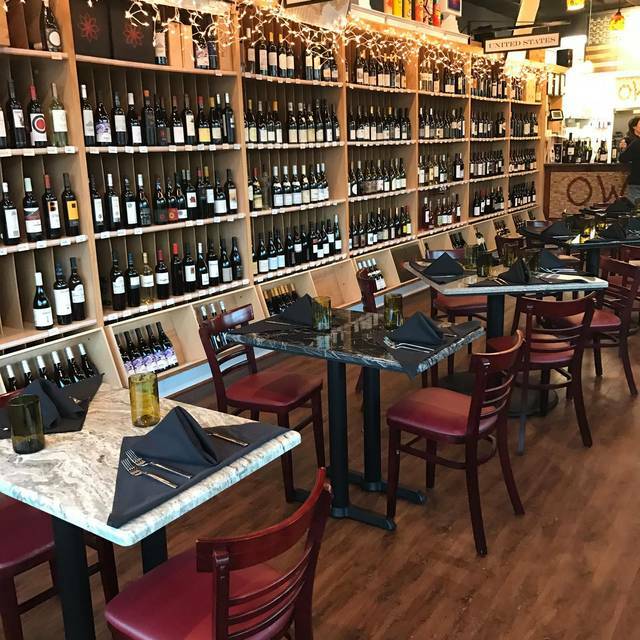 Oakton Wine Shop & Bistro aims to present a consumer-friendly environment, with a staff that is knowledgeable, helpful and consumer-focused! Dine amongst the bottles on Easter Sunday. We will be offering up our full menu all day along with a couple of features. I have an allergy to garlic and onion. The chef went out of his way to accommodate me. I had a delicious meal. I'm so appreciative! Everything about this bistro/wine shop is thoughtful and well-executed. The food is delicious and the menu changes at a nice pace (mostly with the seasons, but not exclusively). Portions are perfect. 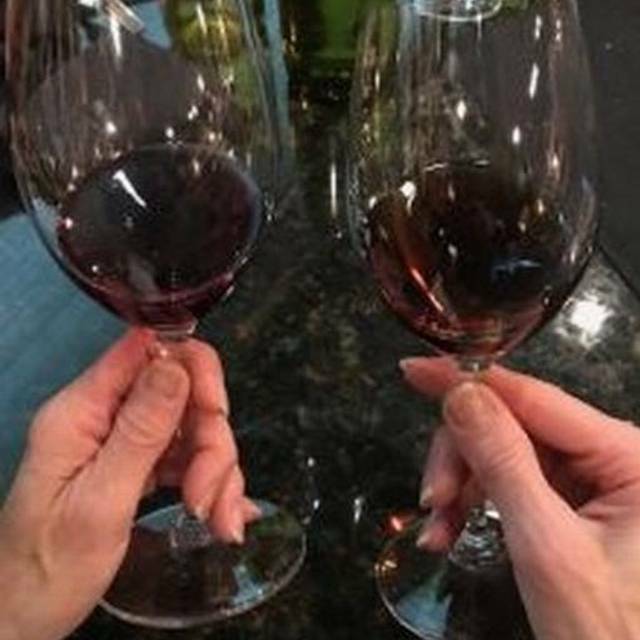 The staff is friendly and quick to assist with a wine pairing you will enjoy with your food. For a REAL treat, book one of the special dinners with wine pairings.... always impeccable. Fantastic food with a great wine list to choose from. The wine by the glass menu is also fantastic. Bryan, the owner, waited on us & was great! Food and wine were excellent. We will definitely be back. A very promising start with an adventurous and truly beautiful salad with purple flowers, and a tasty leek soup, ended with very disappointing main courses, both of them specials for the night. The main courses that night included a beef bourgignon and a salmon in pastry. The beef bougingnon consisted of a few tiny pieces of beef in a very plain salty broth, no noodles or other feature in the bowl. The appetizing salmon dish was well-executed, but was accompanied by boiled corn, carrots and peas -- could have come out of a can, and there was no additional flavoring applied. Both main courses were in the high $20 range, and both were great disappointments. We went from greatly excited about a new "find" in our area, to wondering if any of the patrons ever go back a second time. We probably won't. Went to try the new menu with my family and loved every bit of it. The tuna tacos were amazing, so flavorful and good size portions. The wagyu hanger steak was awesome and glad that they’re offering such high quality beef at reasonable prices. And of course the wine selection and guidance we received from Miles in choosing our wines was exceptional. We’ll be back real soon. The food is great ... the chef likes to try new things. We have a fun time deciding on what to try. We have not been disappointed yet. Good selection on wines to try by the glass.. It is a great neighborhood find. Tonight we dropped in at 830 and had a wonderful meal - have switched to the spring menu- and a fab French wine that worked perfectly with our food. I had the shrimp, polenta and Marinara and it was delicious! The shrimp perfectly cooked and the marinara tasted like it has just been made from vine ripe tomatoes . The only suggest I have is that it could have used some fresh parsley sprinkled on top for a bit of color and fresh element. My friend had the salmon and strawberries and fresh vegetables. Was light , beautifully prepared and a feast for both the eyes and the pallet. Only tweet would have maybe been some fresh cracked pepper for a little texture and spice to break up the sweetness of the strawberries - but otherwise a really great dish - as always we will be back, we just adore the staff and always feel like we are having dinner with friends. Staff is very knowledgeable about their wine. Every meal and wine suggestion has been terrific. Love this small, cozy restaurant! Fantastic wine available by the glass or flight at reasonable prices, paired with tasty, approachable food. Well-lit (it *is* a shop!) and service is friendly and personal. Went with friends - had lovely cheese plate, lamb chops, steak frites, and ahi tuna. Every dish was just perfect! Flavors spot on, presentation inviting and wine pairing spectacular. We were all so impressed and just really enjoyed the evening! We will return - sooner than later- so glad such a cute place is right around the corner from our homes. Jeff and Brian always provide interesting conversation and wine knowledge to go with great food. Brian the waiter is wonderful, he makes you feel so welcome and he knows the menu and has great suggestions about the dishes and wines. It is a great neighborhood place to eat. The chef came out to see how we liked his dinner and wines. We had the Ahi Tuna, delicious, and Fall Salad, very fresh. We are already making reservations for the future. I'm looking forward to his crab cakes on our next visit. Also, we are looking forward to the wine tasting dinner in March. We enjoyed a quiet weekend lunch. Nice menu and wonderful wine selection. Took my husband there for his birthday since he is a huge wine fan. Service was excellent and very knowledgeable. Not only did the server explain each of the wines in the flight, but he also brought him two additional tasting at no charge. That was because I asked him for a recommendation for a type of wine for me to purchase to buy. He wanted my husband to like what he picked. They had a long chat about wine and scotch. The food is not great, but isn't awful. It was very disappointing that they were out of the specials and some of the regular menu items. Steak was a bit overcooked. Overall though, we had fun. Go but go on Friday or early on Saturday before they run out of stuff. We made a reservation at the Oakton Wine Shop and Bistro and did not know what to expect. It exceeded all expectations! The staff was incredible. We arrived on time for our reservation but could not be seated, so they comped our delicious wine cocktails while we waited. Waiting was easy because we could sip our drinks and peruse the wines while we waited. Once seated, we were waited on by one of the managers who clearly demonstrated his passion for the wine and for the establishment. The food was very good, the wine varieties we tried were great, and the desserts were outstanding. It was an intimate bistro that allowed for discussion using a normal tone of voice while enjoying a wonderful dining experience. We would recommend This place to anyone looking for a nice evening out and look forward to returning! We enjoyed the atmosphere; it was a very local feel with the chef engaging with the customers. The cheese board was outstanding and the entrees were delicious! Can’t wait to go back! Treat yourself to a wine dinner and know that the servers will ensure you have a grand time. Tableside manner and wine knowledge are something you'll soon realize is missing from a lot of restaurants but not here. You'll very much appreciate the attention to detail and a great wine menu to choose from! It was a really nice evening! We live close by and having passed many time, wanted to check out OWSB. Service was very good. We chose wine from the shelves. A good option. This expands wine menu. The wine steward was very knowledgeable. Medium rare lamb was too rare, but easily made right. Chicken pot pie was chicken pot pie. We will return. Great wine selections to go with excellent food. The menu goes from tomato soup and grilled cheese to pork chops or lobster rolls. I liked the pork chop !! Food is consistent and delicious. Since this is a wine shop the selection of wines is large enough for every palate and price point. 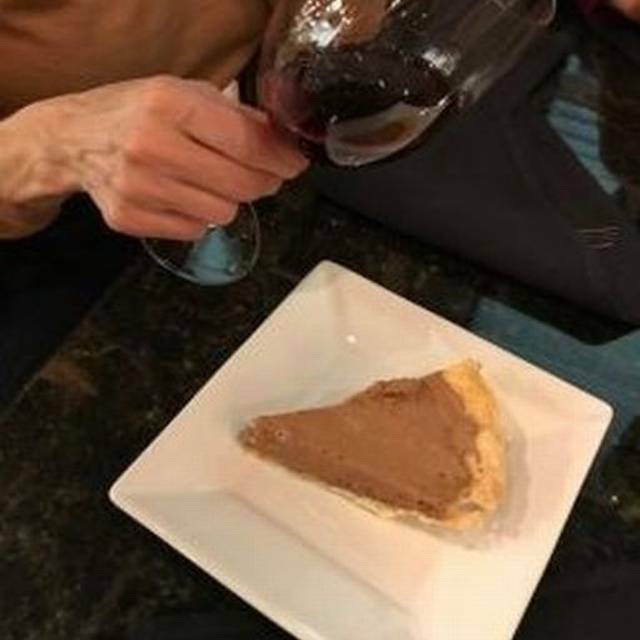 The location is small and seating is close, but the food and wine makes up for the lack of privacy. We enjoyed a wonderful Saturday night with friends at OWS&B when it popped up in a search for a new place to try! Loved the ambience with wines from around the world displayed along the walls, which we selected an excellent bottle of Pinot Noir from at the suggestion of our waiter! We all tried both surf and turf, lobster rolls and steak frites, and both were excellent! No leftovers! 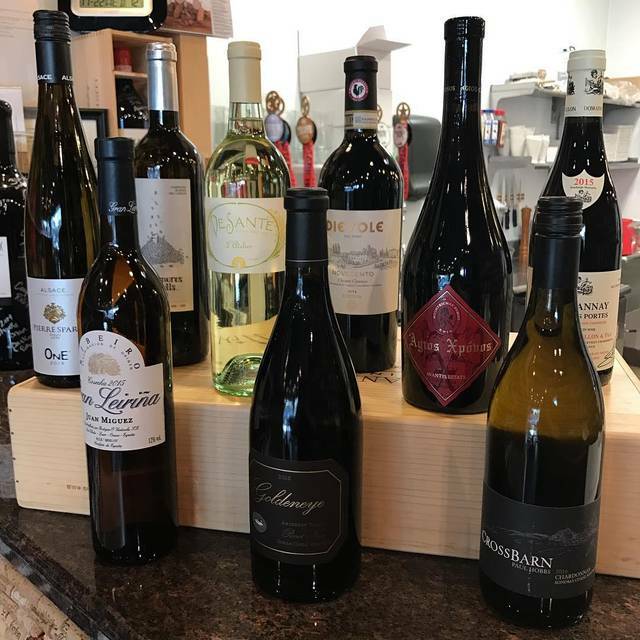 They have a list of things to come back for, including wine tastings every Saturday from 12-4! We definitely will be back! Service was nice. Atmosphere nice. Crab cakes good but overpowered by old bay seasoning and overpriced for portion size. Really yummy food and excellent wine. Friendly staff. Excellent crab cakes, and delicious spicy shrimp tacos. I've always had great wines and food at OWSB and my recent visit was no exception. Professional, knowledgeable staff in the kitchen and on the floor work as a team to make the experience great. I've introduced many foodie friends to this gem who keep returning. The wine selection is diverse and well chosen. The small dining room is cozy and intimate for a meal or just a glass of wine or beer you are sure to like. A nice setting for groups of 2 - 10. Very personalized service from the entire staff and owner is typically on site most of the time. Good food and Good wine! Love this place, so nice to have in Oakton. Wine selections are outstanding and the food is very good too. Casual, satisfying and special all at the same time. First time diner based on our guest's location and favorable OpenTable reviews. What an utter and complete disappointment. My pork chop was a poor cut, thin and hideously overcooked. Beet salad was a bit disappointment. Decor is 10 tables in a wine shop in a strip shopping center => no ambiance. Cute little wine shop with a cozy bistro. Service was friendly and prompt and wine was good. Although I would give this place another try just on ambiance and service alone, I was highly disappointed the lobster roll was made of imitation crab and lobster. We came just for the lobster rolls, and at $19 we never thought they'd be anything but lobster. Great neighborhood place and Brian does a great job with his choice of wine flights and his seasonal menus. Give it a try! This is a very pleasant place to have a meal. The food is good, service friendly and professional and prices moderate. Our server, Bryan, made a great white wine suggestion. Thanks! Fabulous as always! The food is excellent and the service is exceptional! Fantastic food and service, will be back again soon! Stopped with friends for lunch on a Sunday, what a gem this place is. Had the fall salad and the butternut squash soup, both very good. The wine pairings were perfect too. Would definitely go back.